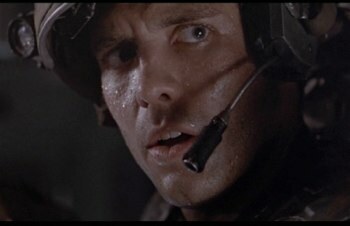 Corporal Hicks returned for Aliens: Colonial Marines, but Michael Biehn didn't have any fun reprising his iconic role. Back when Aliens: Colonial Marines was the upcoming game to get excited about, it was touted as an authentic Aliens experience. The game would be canonical in the Aliens universe, take place in the ruins of LV-426, and featured the return of Michael Biehn as Corporal Dwayne Hicks. These details garnered a lot of support of long-time fans, at least until the game actually reached store shelves. Many individuals behind Colonial Marines have since disavowed the experience faster than you can say "Game Over, Man", including Biehn himself. "I did a voice in the Aliens game that they made," Biehn told Game Informer. "That wasn't fun at all. I just didn't really have any fun. It seemed kind of passionless. I think in movies, television, and the gaming world, you get some people that are really, really passionate, and some people that are just going through the paces. They think that because they have a brand name they're going to get a hit game or hit movie out of it. That certainly was the situation on Aliens: Colonial Marines". The article states that Aliens: Colonial Marines almost turned Biehn off from videogame work entirely, until he had a chance to act in Far Cry 3: Blood Dragon. According to Biehn, the unapologetically 80s title was made by a passionate team with great appreciation for the source material, most notably Ubisoft Montreal's Dean Evans. "Dean is such an interesting and creative presence," Biehn said. "He has such energy and such passion. One of the things that I really, really enjoy working still in this business is finding people that have that kind of passion ... Those kind of lines, that kind of vibe, and the fact that it was going to be a throwback to the '80s was something that I thought was interesting. But really it was his passion, man. You just can't say no to him." So yet another lesson learned from Aliens: Colonial Marines: Passionate developers go a long way towards making your videogame more fun for everyone involved. Failing that, I suppose you could try throwing in a wise-cracking cyborg from the 1980s. After all, making the version of Hicks from Colonial Marines an Android would, at the very least, explain some rather glaring continuity errors regarding his survival in the first place.